Generous Brits are set to embark on a bigger festive spending bonanza than ever before, according to figures released today. The findings released by VoucherCodes.co.uk show that Brits willspend £203.98m more on children’s Christmas presents than their parents did a generation ago, considering inflation. The survey of over 2,000 people across the country discovered that the average parent will spend £119.45 per child on Christmas presents this year, an increase of £50.21 on the previous generation – meaning the cost of Christmas has increased by £2.68bn (73%)! 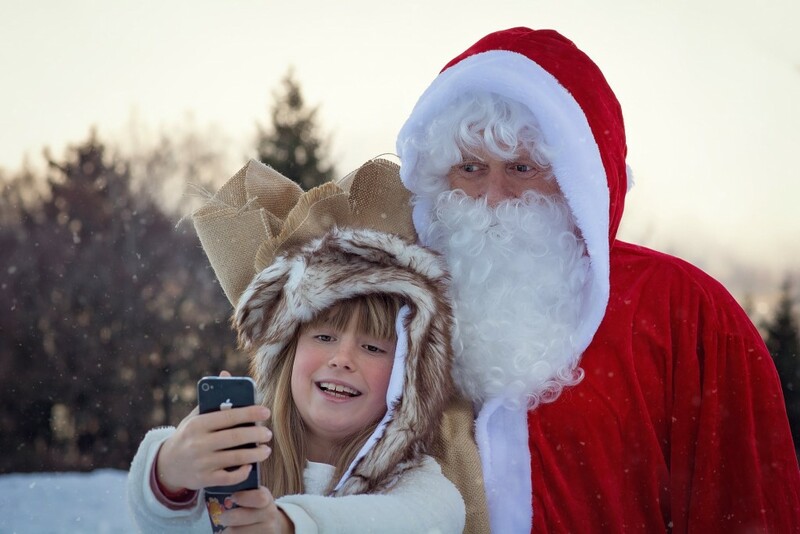 Half (47%) of parents believe that their children ask for more presents than they did at their age and the research has revealed how the expense of Christmas has increased for the average modern family as a result of meeting these greater expectations. With a quarter (23%) of parents spending over £200 on Christmas presents per child, compared to just 6% a generation ago, the research has highlighted the financial pressures that families are now under to provide a special Christmas for their kids. This is particularly true for parents under the age of 35, with three out of five (59%) admitting they’re saving money for Christmas by mid-November. This is in contrast to just a third (33%) at the same time a decade ago. With so much money being spent, it’s important that parents are invested in what they’re purchasing. Despite this, a third (37%) admit they buy Christmas gifts without knowing if their children would actually want them and a quarter (28%) confess they’ve been guilty of buying rubbish presents because they left it too late to go shopping. This perhaps explains the huge shift in priorities between what children are looking for now compared to when parents were anxiously looking under the Christmas tree. Indeed, two out of five (38%) children now want to find a games console in their stocking, while a third also ask for a mobile phone (35%) and an iPad or iPod (32%). The research has revealed the different demands that children had a generation ago, leading three out of ten (30%) parents to admit their children can be ungrateful at Christmas time. Indeed, it was simple board games (35%) and books (30%) that topped their own wish lists alongside toys rather than a games console (10%) or mobile phone (8%). While Dads are eyeing clothes (30%) and entertainment in the form of music or films (25%) this Christmas, the research has found it is the thought that counts for Mums. Four out of five (81%) would rather receive less expensive, more thoughtful presents. Although the majority (54%) of Mums would prefer handmade gifts from their kids than those bought from a store, only a third (31%) of children under the age of 10 choose handmade gifts. The full-blown festive season is on the horizon and fast approaching. Indeed, the research has indicated almost half (45%) of Brits are already feeling in the Christmas spirit now that the lights have started to be switched on across the country. Meanwhile, three out of ten (30%) young adults have been embracing Christmas the moment Halloween and Bonfire Night were over.